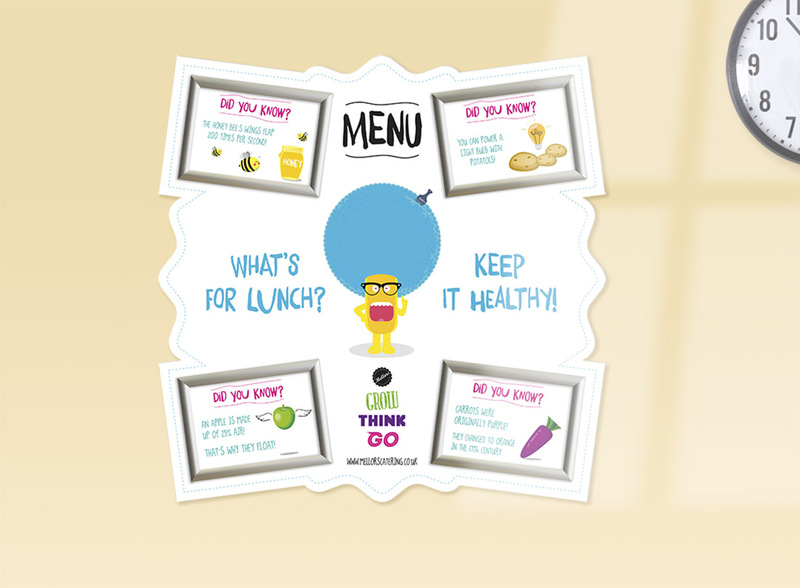 SMR were asked by Mellors Catering to create an identity for a healthy eating scheme aimed at primary school children. Important not to over complicate the message, we chose to focus the strategy on the benefits of eating healthy food that a young child can connect with, growing big and strong, doing well in class and having plenty of energy. 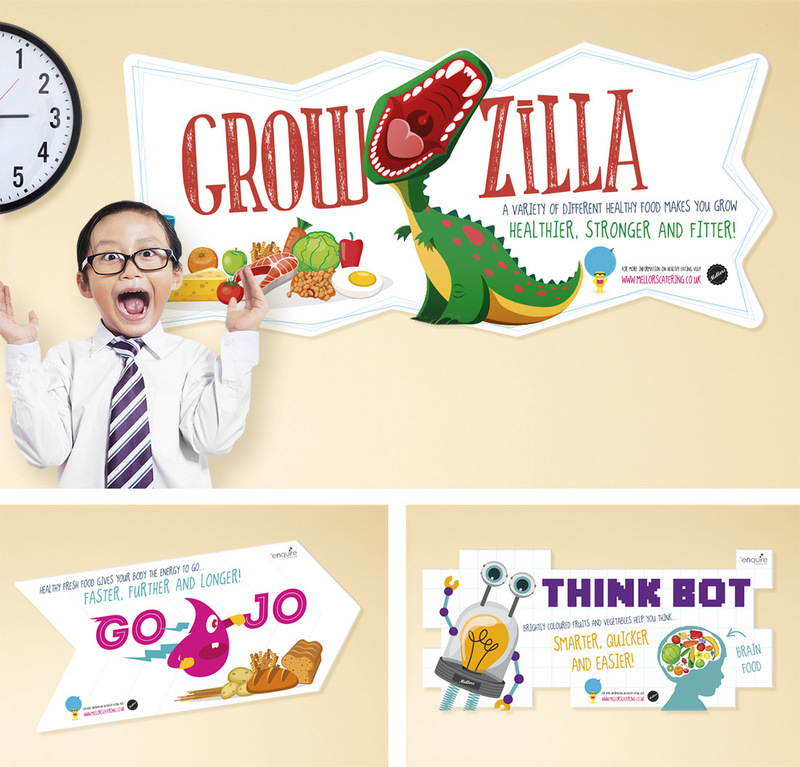 We communicated the benefits via fun graphics and characters to represent the three areas, Grow, Think and Go. The scheme is being used across signage and menu boards throughout schools nationwide along with playtime activities to engage the kids.